A writer and editor for more than 30 years with a master's degree in communication, she is currently a senior lecturer and an award-winning faculty member in Corporate Communications & Public Affairs at Southern Methodist University in Dallas, Texas. Additionally, she helped found and now serves as Editor at Large for CURE: Cancer, Updates, Research & Education, a national quarterly magazine serving the informed cancer patient. Since its publication, CURE has received numerous awards from both national and local organizations. Since her diagnosis of breast cancer in 1986, Kathy has been active in the national cancer survivor community. In her capacity as a journalist, Kathy turned her cancer experience into a book, The Breast Cancer Companion, which is based on interviews with more than 120 women and 75 men and health care professionals. Published in hardcover by William Morrow and Company, the paperback was published by Avon books. 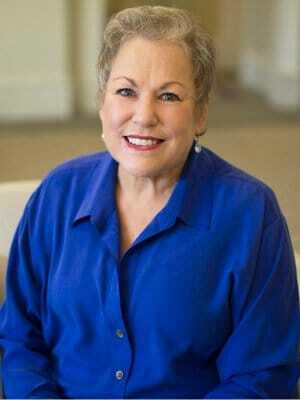 Since the publication of her book she has spoken in more than 30 cities in the United States and Canada, delivering keynote talks on the importance of psychosocial support for cancer survivors to both survivor audiences and medical professionals. In 2004 she premiered her one-woman show "One Mutant Cell," which she has presented for more than 30 audiences across the country. "This monologue, like cancer, has a life of its own. Since the publication of my book, The Breast Cancer Companion, in 1993, I have spoken across the country and in Canada about surviving cancer. The focus of that talk, "Life After Breast Cancer: A New Way of Living", has always focused on the reality that cancer is a dual experience, medical and emotional. In my speech, I would call for recognition by our physicians that healing only comes from an integrative approach to cancer, recognizing that our bodies are only one aspect of our selves. I am glad to say that in the past 10 years, we have seen many strides in the addition of complementary approaches to healing that address the soul and spirit of the person with cancer--and his or her family and friends. As I became more comfortable speaking, I began adding a little humor to my talk, often to balance the many difficult emotions in the room. These "asides" were the stories of the experience, and they were usually presented with the irony, humor or sarcasm that the situation addressed. In writing "One Mutant Cell", I distilled these stories from my speaking dates and integrated them into the story of my cancer journey. I have been told by those who have heard it that it helped them reframe some issues for their own lives -- a writer's highest praise."